Jean-Christophe Dumont joined the OECD Secretariat in 2000 to work on international migration issues. He is a Senior Economist (Principal Administrator) in the Direction for Employment, Labour and Social Affairs (Division for Non-Member Economies and International Migration) at the OECD, Paris. He is co-author of the annual publication of the OECD on international migration (« International Migration Outlook », OECD, Paris). He has several publications on the economics of international mobility of persons, including on labour market integration of immigrants and on the management of migration flows. Recently, he has made several contributions on the international mobility of health workers to OECD countries. He holds a PhD in development economics from the University Paris IX-Dauphine and has been working as a research fellow in Laval University, Quebec Canada. 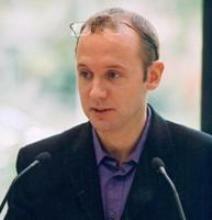 Jean-Christophe Dumont joined CReAM as an external fellow in October 2009.